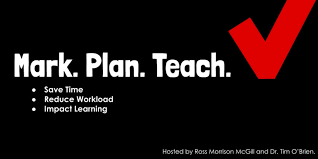 This half term is disappearing very quickly, with most schools preparing their 2nd cohort for NEA 1 and vocational assessments, although we have also been supporting many teachers that are doing this for the first time. On Saturday 3rd Nov, we will be holding our national event, with presentations from all the exam boards – across vocational courses and GCSE, as well as Level 3 (A level equivalent), with the option to brush up on your practical skills as well with the University of West London tutors. More details are below. What Alternatives are there to GCSE? 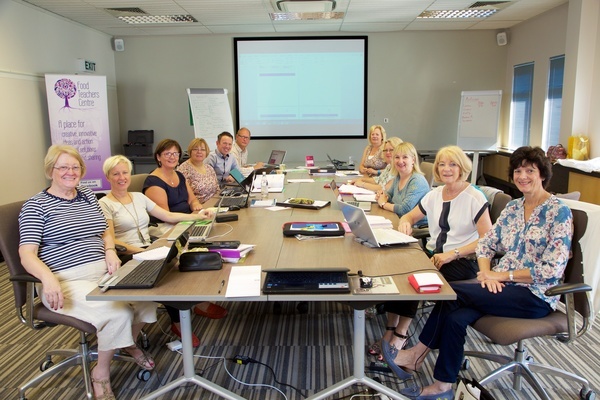 Last July (2017), we ran a support day for teachers choosing and delivering the new vocational courses. 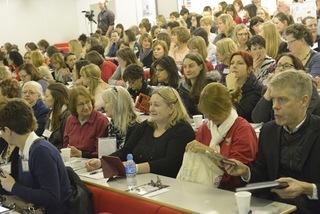 This was well attended and included some great presentations from exam boards, and those organisations providing free teaching resources and support such as Springboard FutureChef. If you would like to know which exams are approved to be equivalent to GCSE then you should consult the government website, which is updated as qualifications are approved. But do not assume that because one qualification is approved for 2018 or 2019, that it will be available automatically in 2020. There is a regular re-approval process. We have always been concerned that there are organisations spreading misleading information that a VCERT or other vocational qualification is easier to pass than the GCSE. These organisations appear to be in the business of telling your school ways to get more points on the performance tables. This is simply NOT TRUE. There are no shortcuts to more performance points. GCSE is a Level 2 award, and so are vocational qualifications that are equivalent on the performance table. Some of their guidance that VCERT can be delivered and taken in 6 months or a year is not only an almost impossible achievement, but it fails in the duty of care to pupils who deserve a balanced and fair curriculum opportunity. It damages the subject in setting up pupils to fail, leading to poor results, lack of motivation and overstretched staff. 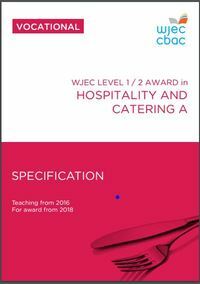 Some vocational qualifications offer a level 1 safety net, such as WJEC Hospitality and Catering, which is helpful when looking for alternatives for your less able pupils. The subject is not easier to pass, but the learning may be more accessible for pupils, and the style of assessment suits their needs better. OFQUAL is rigorous in its pursuit of standards, so they would not allow one exam to be easier than another. 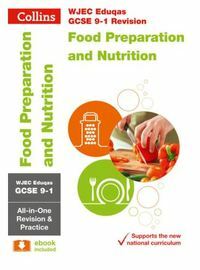 – – AQA Food and Catering Technical Award was dropped by the exam board after it failed to gain government approval in 2017. 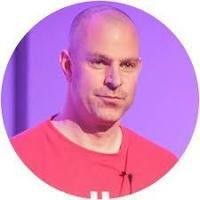 – – City and Guilds Level 1 and 2 may be problematic for some schools unless they run other City and Guilds courses, as there is a minimum requirement for 100 candidates. 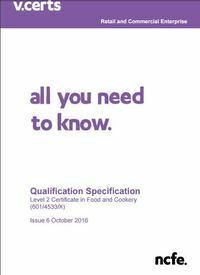 – – NCFE VCert Level 1 and 2 Food and Cookery has been with OFQUAL for re-approval for 2020, and they are now appealing their appeal. Its future is uncertain. This leaves centres already signed up to this exam in a very difficult position to know what to teach this year ready for 2020. This qualification is approved by DfE in the 2017, 2018 & 2019 ONLY Key Stage 4 Performance Tables.This current qualification will expire on 31 August 2019 and this is the last date they can accept learner registrations. 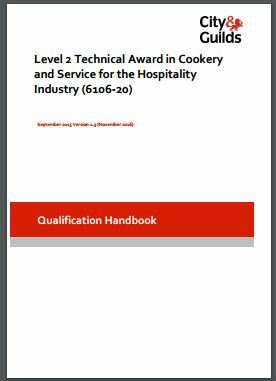 – – BTEC Level 1 and 2 Hospitality Tech Awards for 2020 were not approved by Dept for Education after the appeal of the appeal failed. They will still be running their Home Cooking Skills Course (previously known as Jamie Oliver Home Cooking Skills), without performance points, and Level 3. As food teachers, we know the level of disruption that this uncertainty is causing our schools. 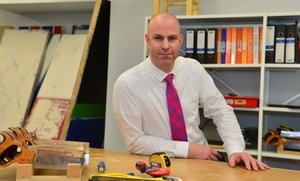 Last year, some schools made a late switch away from GCSE to a vocational qualification, and may now have to change back or change to another approved qualification. At a time when there is no budget to waste, schools have been spending money on new books, resources and training to set up these newer courses – only to find that the courses have ceased after a short time. 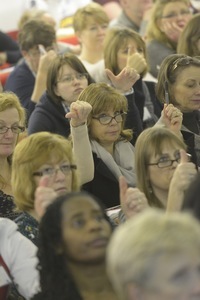 Its predecessor GCSE Catering WJEC has an excellent track record, and many teacher supporters. 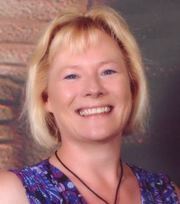 There is a new book for the course by well-known author Anita Tull and Alison Palmer, and friendly helpful staff available to answer questions at the board and provide CPD for the teachers setting up https://wjec.ticketsolve.com/shows/873593255 . 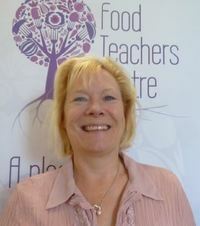 It also has a Level 3 Food Science and Nutrition option for progression. Exam board staff from NCFE and BTEC will also be there to talk to you and run workshops to help you with their courses, and to answer your queries and concerns. 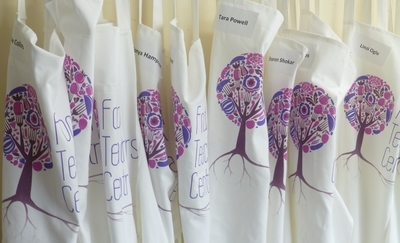 We are very excited to tell you about our new programme for this year called ‘Chefs Back to School’. In order to address some of the issues we face, we are showcasing the success of your ex students by inviting them back to your school to do a demonstration of their skills to you current pupils. 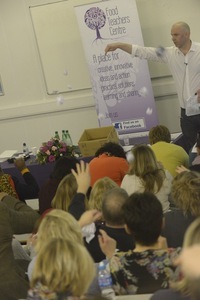 Our team has led similar highly successful programmes (Student Associate Scheme (SAS) 2008-11). Whilst SAS aimed to encourage Associates into teaching as a career, a more profound unexpected impact on the pupils was discovered. Having students back in school transformed pupil aspirations particularly those in households that had never been to college or university (such as families of three generations unemployed). 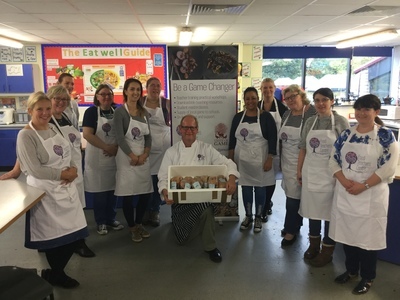 Student chefs will meet pupils, teaching staff and headteachers, increasing the visibility of this valuable subject, creating a talking point and photo opportunity in school of a successful ex-student. We will be launching a link to register around half term. 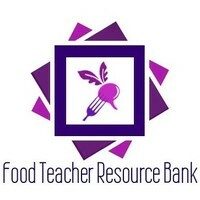 Taste of Game and the Food Teachers Centre have come together to bring you training and resources that helps you teach the curriculum. 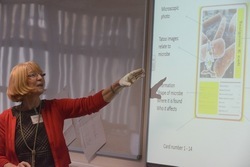 A key aim is to upskill teachers in the preparation of game and supply schools directly with ingredients for cooking it. With training and support, we hope that you will use game confidently with your classes. 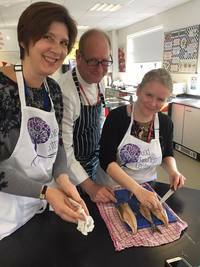 The programme will match the GCSE and vocational course requirements so that 60,000 students will get a chance to experience how to prepare, cook and taste game before they leave school. – take home a positive message about game to the family shopper/cook, including its nutritional benefits and uses in a modern balanced diet. 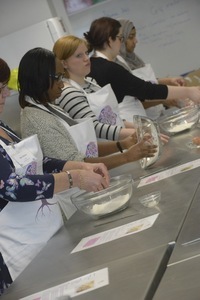 All training is mapped to the GCSE and vocational examinaition courses with a focus on achieving better marks in the practical exams, and is mapped against the Food Teacher Professional Portfolio standards. 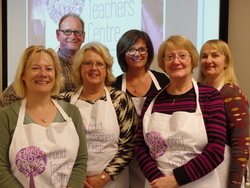 This national training day will bring hundreds of food teachers together for a unique set of workshops and practical cooking skills sessions that focus on new qualifications (GCSE and Vocational Levels 1-3), reviewing your results and moving forward with planning and delivery. 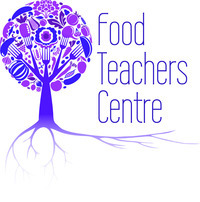 We are delighted to be working with the prestigious Westminster Kingsway College, London again to bring teachers, support staff and technicians who do not have any food qualifications a chance for training and recognition. This is a FULLY FUNDED three-day course Introduction to Culinary Skills’. Course Description: The Westminster Introduction to Culinary Skills Certificate is an 18- hour hands-on certificate programme in professional cookery education that offers expert tuition, fit for purpose equipment and facilities, top-quality ingredients and tuition in classic and contemporary European recipes. In eighteen hours total, you will experience a comprehensive foundation in the art of preparation and cookery in modular formats. In this course module, you will learn the fundamentals of the science of preparation and cookery ranging from vegetables, fish, meat, poultry and farinaceous items. Cookery principles are addressed and an explanation of wet and dry methods developed. 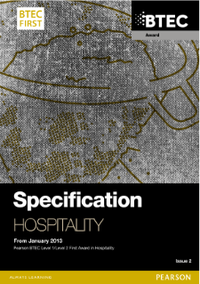 Extensive use of commodities to create professional dishes within the timeframe. 3-day course, attendance for part of the course is not permitted. THERE ARE LIMITED places, first completed applications secure a place. A waitlist will operate. 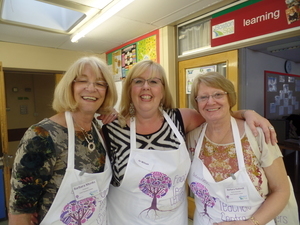 Life changing cookery competition gives young cooks a true taste of the industry. 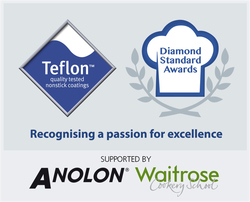 Since its launch in 2012, the Teflon™ Diamond Standard Awards has become a fantastic platform for young aspiring cooks across the UK. 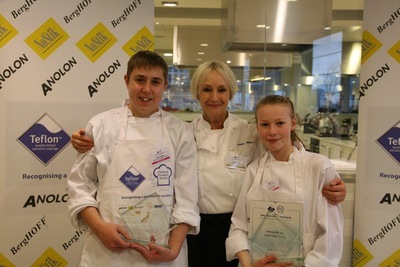 The title of Keen Young Cook Winner is so highly regarded by participants and schools, that the cookery competition has had 60% of the finalists taking positive action from the competition. More than just a cookery competition, the opportunities that the Teflon™ Diamond Standard Awards provide are endless, not only for the winner, but, for all finalists. Out of the 12 Keen Young Cook finalists, the annual competition saw 5 of them re-apply for the 2018 competition, with 3 of them reaching the final and one of them going on to win the coveted Specialised Chefs Scholarship at the Bournemouth & Poole College. Ethan Kirkby first entered the competition in 2017, he re-entered the competition after taking on board the tips and knowledge gained from reaching the final the previous year. Alongside Sarah Blockley, he won the 2018 Keen Young Cooks category and both winners are looking to enrol this September. Despite not winning, 2017 finalist Harry Essex didn’t re-enter but has gone on to enrol on the Specialised Chefs Scholarship after encouragement he received from the competition. The 2017 Keen Young Cook Winner Harriet Morgan-Barstow, continues to blossom as she is currently on placement at the Dorchester Hotel since starting her course. 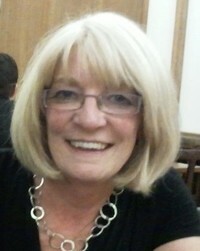 She also joined the panel as a guest judge for the 2018 National Final. Entries are currently open for the 2019 Teflon™ Diamond Standard Awards and can be submitted individually or via schools and colleges. Entries close on 31st October 2018 with the national final scheduled for 23rd January 2019 at the Waitrose Cookery School, London. For more information on the competition and to enter please visit www.teflondsa.co.uk.